Hand made in our Cad & The Dandy workshops from the finest cotton shirtings, every one of our bespoke shirts is the ultimate in premium quality. Rigorous quality checks are carried out at all stages of the cutting and making process to ensure the finished product is of the highest possible standard. With hundreds of colours, textures and designs to choose from, we use only the finest cotton shirting fabrics, from Italy and Turkey, to make our bespoke shirts. Our belief in the highest quality applies right down to the smallest detail. We use mother-of-pearl buttons, sewn on with strong crossed-lock stitching for a secure, long lasting hold. Whether for business, pleasure or formal events, we offer style options to complement every occasion. A shirt’s style is not dictated simply by the material or fit – though both are important considerations – the devil is in the finishing details, from the collar to the cuffs. Our multiple collar options and three cuff choices make the design of your bespoke shirt an exercise in precision and personal style. In addition, the fit of your shirt is vitally important. Cad and The Dandy bespoke shirts are made up from a bespoke paper pattern, drafted from your measurements and unique to your body shape. Our flawless cutting and first-class construction combine to ensure the most flattering silhouette and a perfect fit. 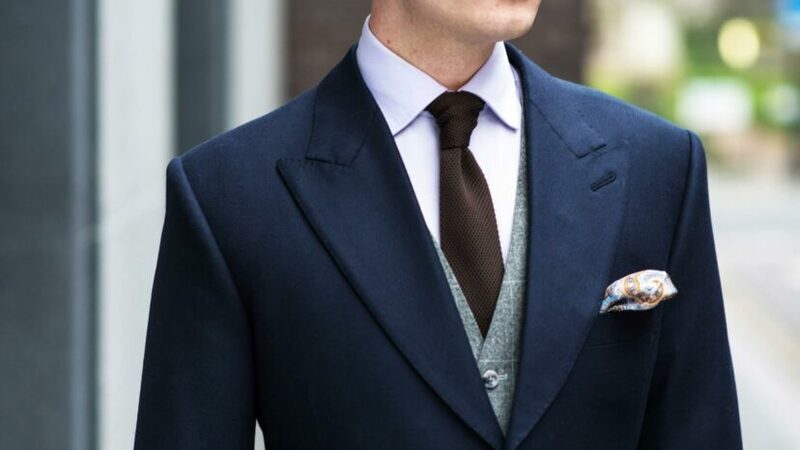 A bespoke shirt is also the perfect introduction to the world of Savile Row tailoring. An ideal gift for the well dressed gentlemen in your life, it is a sartorial experience not to be missed.